The County Government of Uasin Gishu has inked a deal with Huduma Kenya that is set to improve and hasten services to the citizens. The devolved unit is working closely with Huduma Kenya in providing an efficient payment avenue for County services. The payments which will be done at Huduma Centre in Eldoret Town will include among others; land rates and issuance of motorbike stickers. The partnership between the County and Huduma Kenya will also see decongestion of the County premises. 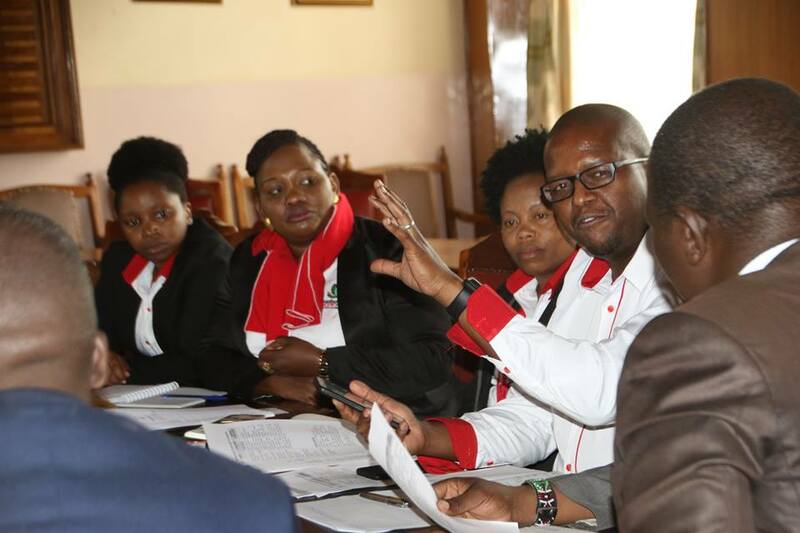 A delegation from the government entity on Wednesday held a meeting with County Government officials led by Devolution Executive member Barnabas Tarus to polish the gray areas of the agreement. Uasin Gishu County Government has established a counter at the Huduma center Eldoret which will commence its operations soon. The County Government is gradually digitizing most of its operations in a bid to improve service delivery. As a result, the department of ICT has announced that it will start providing mobile phones kits that will help identify the authenticity of business permits through a verification application which will scan the business permits and licenses. This comes days after the period for license renewal given by the County Government elapsed. The administration is embarking on an exercise to ensure compliance as well as the authenticity of licenses acquired. Recently, a number of staff drawn from various departments were taken through a training aimed at equipping them with the necessary skills to guide them as they undertake the task. Opening the training exercise, Executive in charge of Finance and Economic planning CPA Julius Rutto asked the selected teams to have a persuasive approach as they deal with the public during the exercise. This will be achieved by educating them on the importance of revenue collection. He further emphasized on proper public participation throughout the exercise. “Our aim as the County Government is to maximize the revenue we collect. This will help us finance the projects across the County besides the equitable share given to us by the National Government” said the CEC. The training was also attended by CEC’s Mary Njogu (Environment), Everlyne Rotich (Health) and Dr. Emmily Kogos (Trade), who gave their input on the approach of the exercise noting the significance of revenue to the County in running its services.